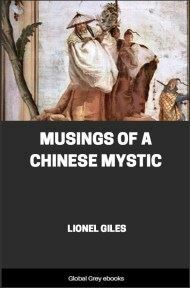 This is the Chinese volume in the Myths and Legends series. 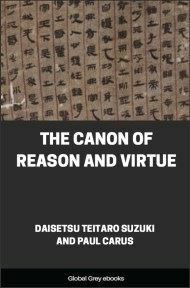 The author consulted mostly Chinese sources to splice together this broad look at Chinese traditional folklore, related to all three of the main Chinese religions, Buddhism, Confucianism and Taoism. 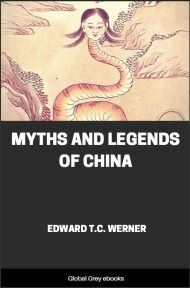 Werner covers such topics as the evolution of Chinese cosmology, and the enormous pantheon of native Chinese Gods, Goddesses, and Immortals. This makes a great read for folklore fans and lovers of Chinese lore. Setting aside several theories (including the one that the Chinese are autochthonous and their civilization indigenous) now regarded by the best authorities as untenable, the researches of sinologists seem to indicate an origin (1) in early Akkadia; or (2) in Khotan, the Tarim valley (generally what is now known as Eastern Turkestan), or the K’un-lun Mountains (concerning which more presently). The second hypothesis may relate only to a sojourn of longer or shorter duration on the way from Akkadia to the ultimate settlement in China, especially since the Khotan civilization has been shown to have been imported from the Punjab in the third century B.C. The fact that serious mistakes have been made regarding the identifications of early Chinese rulers with Babylonian kings, and of the Chinese po-hsing (Cantonese bak-sing) ‘people’ with the Bak Sing or Bak tribes, does not exclude the possibility of an Akkadian origin. But in either case the immigration into China was probably gradual, and may have taken the route from Western or Central Asia direct to the banks of the Yellow River, or may possibly have followed that to the south-east through Burma and then to the north-east through what is now China—the settlement of the latter country having thus spread from south-west to north-east, or in a north-easterly direction along the Yangtzŭ River, and so north, instead of, as is generally supposed, from north to south. The theory of a southern origin (to which a further serious objection will be stated presently) implies a gradual infiltration of Chinese immigrants through South or Mid-China (as above indicated) toward the north, but there is little doubt that the movement of the races has been from north to south and not vice versa. In what are now the provinces of Western Kansu and Ssŭch’uan there lived a people related to the Chinese (as proved by the study of Indo-Chinese comparative philology) who moved into the present territory of Tibet and are known as Tibetans; in what is now the province of Yünnan were the Shan or Ai-lao (modern Laos), who, forced by Mongol invasions, emigrated to the peninsula in the south and became the Siamese; and in Indo-China, not related to the Chinese, were the Annamese, Khmer, Mon, Khasi, Colarains (whose remnants are dispersed over the hill tracts of Central India), and other tribes, extending in prehistoric times into Southern China, but subsequently driven back by the expansion of the Chinese in that direction.